Finally, after much leaks over the past couple of months and amid much fanfare, Apple has launched its iPhone lineup of 2018. Apple’s devices tend to mark the start of the mobile device release schedule for the second half of the year. Leta has a rundown of the devices that were released by Apple at its event today. Apple showcased the iPhone XS, the iPhone XS Max, and the iPhone XR at the event. The Apple Watch Series 4, the next iteration of the company’s popular wearable, and also the next iteration of the most sold wearable in the world, was also launched by Apple. The 2018 iPhone lineup sees Apple ditching the TouchID across its entire lineup of devices. It also marks the inclusion of the modern 19.5:9 aspect ratio by all the devices, with the inclusion of the infamous notch, something that Apple popularized by the iPhone X a year earlier. The iPhones of 2018 have their base storage variant at 64GB, which seems like a nice move from Apple since 32GB is much less for current times. The storage goes up to 512GB this year with the iPhone XS and the iPhone XS Max getting this variant. Apple has released a new color option for the iPhones with Gold being the color that the iPhones would be available in other than Space Gray and White. For the iPhone XR, the budget iPhone, Apple has gone the iPhone 5C path with the device getting Yellow, Coral, Blue, Red color options other than the Black and White one, making the iPhone XR the most colorful iPhone of all time. The iPhone XR has its storage maxed at 256GB with a 128GB variant also. The iPhone carries the latest A12 SoC manufactured by Apple which the company claims is almost 15 percent faster than the A11 Bionic released last year, though no matter whatever percent faster they are, Android would be unable to match that performance level for the next 2 years. The A12 Bionic features an octa-core dedicated neural computation engine capable of performing almost 2 billion transitions per second. Apple has managed to cramp a whopping 6.9 billion transistors in its A12 Bionic chip, which also happens to be the first chip released in the world to be built using the 7nm fabrication process. The devices carry the second-generation Apple’s in-house GPU which would offer <> percent better performance than the one found in 2017’s iPhones. Apple is also bringing dual-SIM support to the iPhones with all the three iPhone models getting dual-eSIM built- in which support almost all major carriers worldwide like, Vodafone, Verizon, T-Mobile, Airtel, Jio etc. Along with the latest iPhone models, Apple has announced that the iOS 12, the next major iteration of iOS would be released worldwide on 17 September. Furthermore, the macOS Mojave, the next OS upgrade for their popular laptop lineup would be available for download from 17 September. 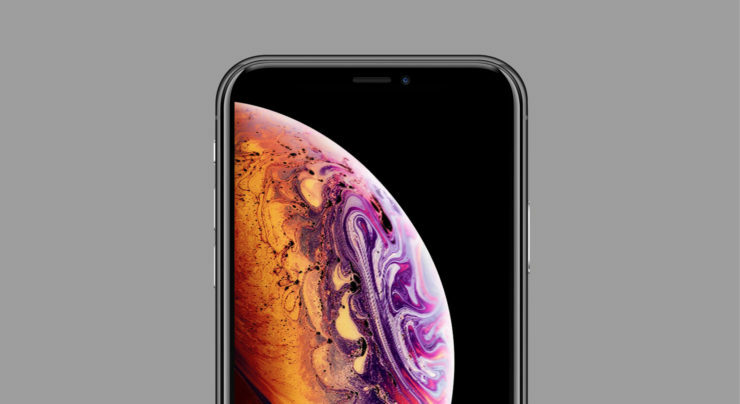 Apple iPhone XS, the next mainstream iOS device. Apple Watch Series 4, the next big name in wearables.